← Hey Grandpa, What’s For Supper? We do love our chocolate. We also enjoy it in souffle form, and we have found some of the best places to drop a few dollars on the light and airy dessert that makes a meal more special. Rise No. 1 These folks dedicate most of their menu to souffle and make one fine and dandy chocolate version. They also offer a variety of savory souffles such as one all loaded up with crab. Now you may visit Rise No 2 in Houston, and Rise No 3 in Fort Worth. Lavendou Bistro Provencal is the city’s answer to French cuisine, and owner Pascal Cayet certainly takes great pride in serving them hot, tall and table side with a small pitcher of warm chocolate to bathe the dessert in. This is a must try for those seeking the finest version in Dallas. Bullion is the fabulous restaurant from the culinary mind of Bruno Davaillon downtown. The gold-spiked monument propels dishes not only as taste sensations but as art. This special spiced chocolate souffle shares the spotlight with a quenelle of pistachio ice cream. Toulouse Cafe touts one of the largest menus for both mussels and desserts in town, and you can find fine examples of each at the tiny restaurant on Knox in Dallas. 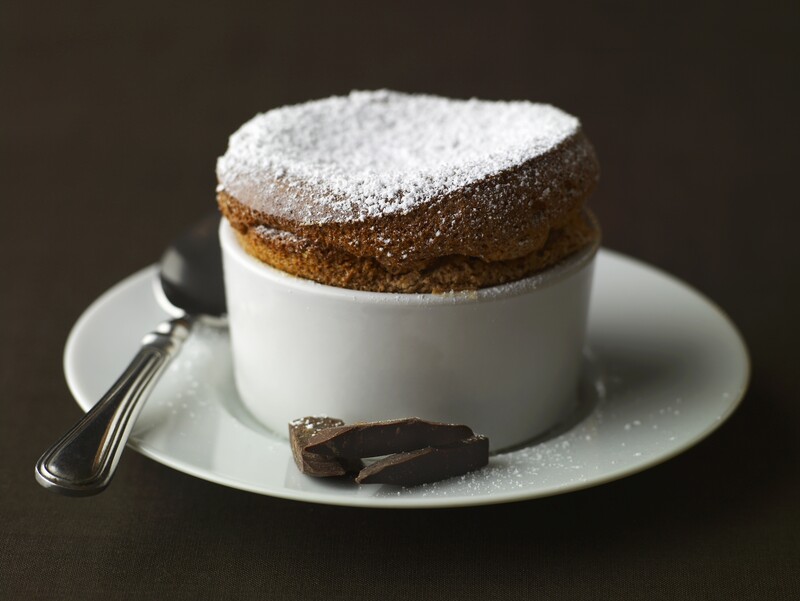 There are actually three souffles to choose from, but we always dive head first into the chocolate version. And why not? Local You probably forget that we have this wonderful restaurant in Deep Ellum that serves amazing local fare, and terrific desserts. What better way to end a meal than by sampling what chef-owner Tracy Miller creates and calls Chocolate Deconstructed. Consider a mini chocolate souffle served alongside an Ovaltine chocolate shake. Genius. Cadot is yet another one of our fabulous French finds on the path to chocolate nirvana. Find this North Dallas favorite replete with caviar, foie, duck and so much more, only to rest nestled with this warm souffle. The Old Warsaw Think very, very old school dining with strolling violins, big platters of beef, and a souffle you must order at the beginning of your dining experience. That is Old Warsaw in a nutshell. Haven’t been in some time? Try it for a perfectly romantic evening. Note that Old Warsaw will be moving locations at the first of next year, so check out this historic location now. 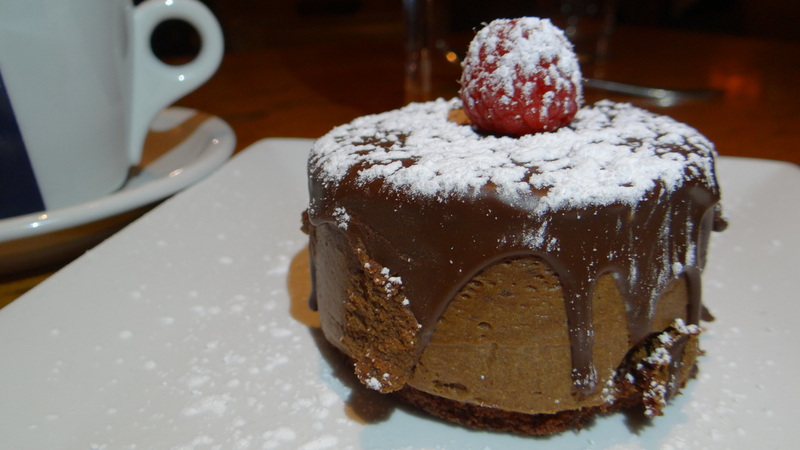 Bonus: Not necessarily a souffle, but we do love the chocolate glob at Parigi on Oak Lawn in Dallas. Consider this like a melted brownie with a chocolate kapow! Those all look Amazing! I’ve never had a soufflé. But I’m willing to try!! I have had this delight at Rise 1, which I highly recommend! I look forward to check out some of the other locations.